Tonight is the 76th anniversary of the fire in Boston’s Cocoanut Grove nightclub, and thus also the 76th yarzeit of my paternal grandparents Adelaide “Addie” (Levin) Wasserman and Theodore “Ted” Wasserman (pictured, probably on their honeymoon in Bermuda), and my paternal great-aunt Sarah “Sadie” (Levin) Levin* (her husband, my great-uncle Benjamin “Ben” Levin, was with her at the Grove but survived). My father and his two brothers were orphaned, and two of their cousins lost their mother; my father was two, and his brothers were in infancy and seven. On the night of Saturday November 28th 1942 -- havdalah of Thanksgiving weekend -- corruption and other issues led to the deaths of almost 500 people (and injured more than 160 others). May their memories be a blessing, and blessed be the True Judge, as we say in Judaism. When my father's parents and aunt were killed, they were much younger than even their youngest grandchild my brother is now (and my brother Ted was named after this grandfather). The Wassermans had recently moved from Portland Maine to Brookline Massachusetts (a suburb of Boston where my father and my brother and I spent part of our childhoods). Another of Adelaide's sisters, Lillian "Libby" (Levin) Finn, and her husband Irving Finn, were part of the family party that night, but as usual Libby and Irving opted to go to a performance at Boston's Symphony Hall instead. They began to find out about the fire after they left the Hall and saw all of the emergency vehicles. Libby wrote a letter about the night not long afterwards, which I hope to read someday. Libby and Irving adopted their three orphaned nephews. Two months after the fire, on January 31st of 1943, Adelaide and Sadie’s eldest brother, Major Clarence “Clarry” Levin, was killed by a German landmine in North Africa (during his service in World War II). Their brothers Harold and Dr. Sydney Levin survived for many years. Apparently there are at most eight Grove survivors left now. And I do believe that this is a social in/justice story -- though I also believe that all stories are – especially as the fire was largely the result of corruption within and between the club management and the City, and the deaths and injuries largely due to the club’s furnishings releasing extremely toxic gas when overheated. And this is the primary reason why there has been so much silence around the Grove. And as far too often, even though many positive changes resulted from the fire, the corruption and silence has led to the forgetting and thus repetition of history -- for instance, the Station nightclub fire in Rhode Island's West Warwick in 2003. And of course, as I write this some of the incredibly deadly and otherwise destructive wildfires in California are still burning. However, the 70th anniversary of the Grove fire in 2012 inspired more acknowledgement and even some action, including the formation of the Cocoanut Grove Coalition -- though I'm not sure how active they've had the time and energy to be. And in 2013, the 71st anniversary, there was an official ceremony at the site followed by a reception at a nearby hotel, and I attended both with my father; this included survivors and their families as well as the unveiling of a street sign saying “Cocoanut Grove Lane”, which joined a plaque in the sidewalk that had taken many years to install and had long been the only marker. In January 2014, I moved to Gaithersburg Maryland (Montgomery County, bordering DC) after a lifetime in the Boston area, to begin living with my spouse Julia (who has always lived in this area, and needed to remain here). I have missed my usual annual visit(s) to the Grove site, where I would leave flowers and/or other small gifts. My father continued to visit, but then moved out of state to join my brother -- who is a firefighter and EMT. My father and I have been visited Boston a few times since we moved, but we haven't been back to the site yet. These other two photos are by my father, Bill Wasserman, a professional photographer (who doesn't have a website). 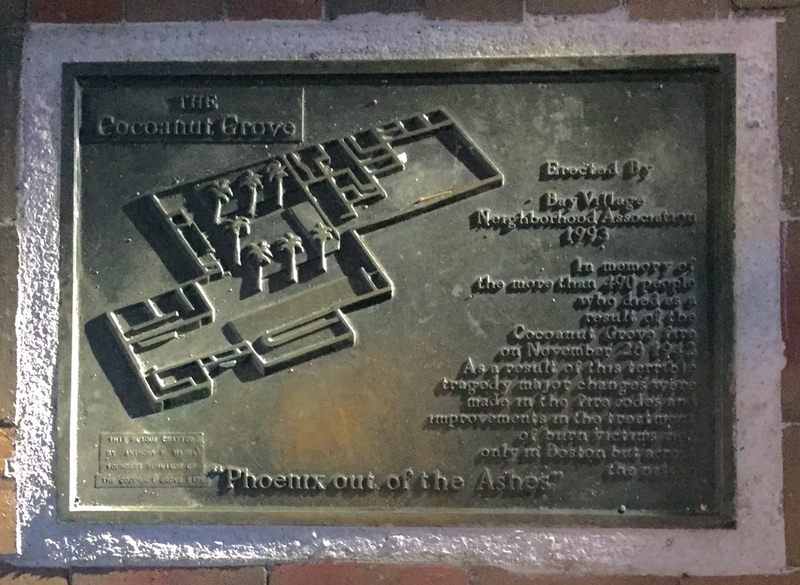 I have been angered and saddened to learn that since I moved, luxury condos have been built on the Grove site -- and how much more so that their management, some tenants and others have added insult to injury by complaining about having to remember the Grove fire, and have managed to have the commemorative plaque removed and moved down the street. But, I am glad to hear that this mishigas prompted the mayor to announce that he supports the installation of a full-on memorial. Too, an old friend of our family called the mayor's office to complain about the plaque's move, and the person who took the call said that they have been receiving a lot of calls about it and most if not all were also complaints. A great thing that happened in this past year or so was that I connected online with Jessica Pollard Lantos, Research and Outreach Coordinator at Documenting Maine Jewry, because she found this blog post through Googling about the Grove (I'm not sure if her comment or the other will still appear here, after this update). Her grandparents and parents were friends and neighbors of my grandparents, in Massachusetts and Maine -- indeed, her grandfather was called from Portland to Boston to identify my grandfather's body. Jessica has her father's World War II journal and photographs, and has posted them on Facebook, and two entries mention my family (one when he hears about the fire, and the other when he hears about the death of his fellow soldier Great Uncle Clarry). She has written an article about the fire for DMJ's newsletter, and I look forward to reading and sharing it. As she says, while the Grove was never a Jewish place or filled with Jewish people, the loss of Jewish and other lives there was a particular loss for the Jewish communities in Auburn and Portland Maine. There has been a great deal of other material published for last year's anniversary, because it was the 75th, and I am going through it as I have time and energy. 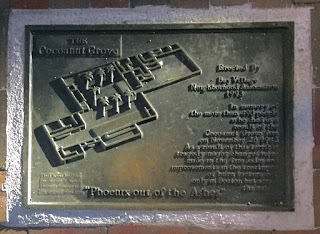 I saw that there was another official memorial event in Boston last November, and that it included the premiere of a new 30-minute documentary about the Grove fire -- Zachary Graves-Miller's Six Locked Doors : The Legacy Of Cocoanut Grove, which has been at a few events since then, including a Boston Public Library one. And not too surprisingly, "Six" is not the only movie about the Grove in process. There is also a newish play about the Grove fire -- James Hansen Prince's "Inferno : Fire At The Cocoanut Grove 1942" (Prince, who wrote and directed, had a relative at the Grove that night); I have heard some good things, and hope to at least read it soon. And I intend to read the old and new books about the fire -- especially now that eBook technology is making them much more accessible (though it turns out that a photo labeled as having Sadie in the background and Adelaide and Ted in the fore is incorrect about at least the latter). Over the years, I have also been to presentations about the Grove at the Brighton and Boston Public Libraries. I will continue to work on this blog post, as well as a fuller piece about this part of our family’s story -- though I think a truly full version may need to wait until after more people pass away. And I don't know how much information I will ever have. Sad to say, the trauma of the fire intensified the existing issues in our family, and I'm sure in many others. Which is a large part of why I feel so strongly about something that happened many years before I was born, and about family members and others who I never met. It is also fascinating and challenging to me -- as a transgender person and advocate -- that the Grove anniversary is a week after the international Transgender Day Of Remembrance (TDOR, November 20th, and this year was the 20th annual); too, all of November is Trans Month. And November is also Native Month -- and Thanksgiving Day is also the Day Of Mourning for many Native / Indigenous people. 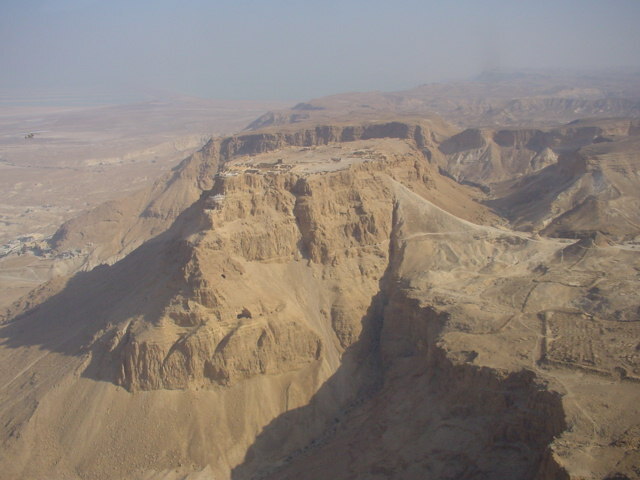 Barukh atah Adonai Eloheinu melekh ha'olam, dayan ha-emet. Blessed are You, Lord, our God, King of the universe, the Judge of Truth, the Just Judge. Baruch Dayan HaEmet, Blessed is the True Judge.